Kury squash gnocci with garlic scape pesto, cottage bacon & parmesan. 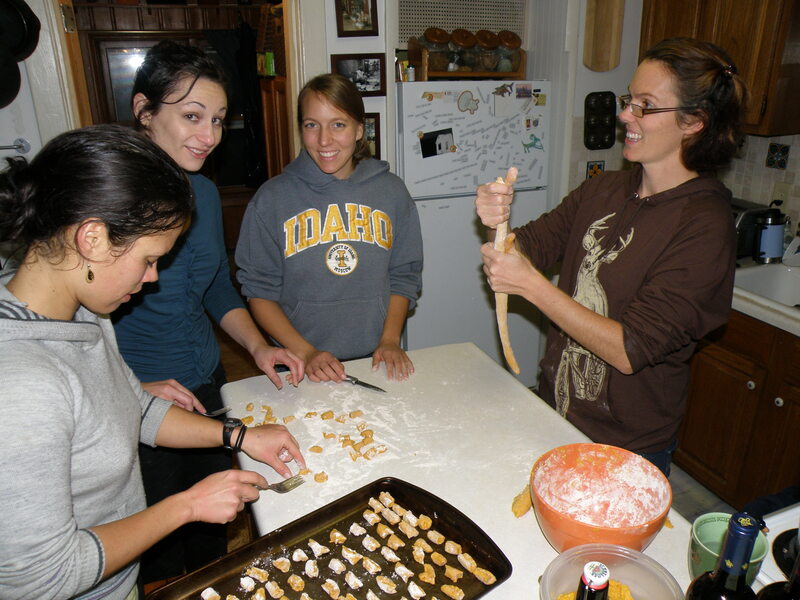 Ain't no party like a gnocci party! Bake at 350°F for about 45 min, and cool (can be done a day before). Scoop out of squash shell and smash into a bowl. This seems tricky – but it’s just a matter of technique – takes 2 seconds once you know! A perfect gnocci. Now just dozens to go! Dry the gnocci! This is important. Everyone you’ve ever heard tell a pasta horror story where everything boils to mush – probably neglected to dry their noodles. Many recipes I’ve looked suggest air drying for hour or even overnight. And you can do that. 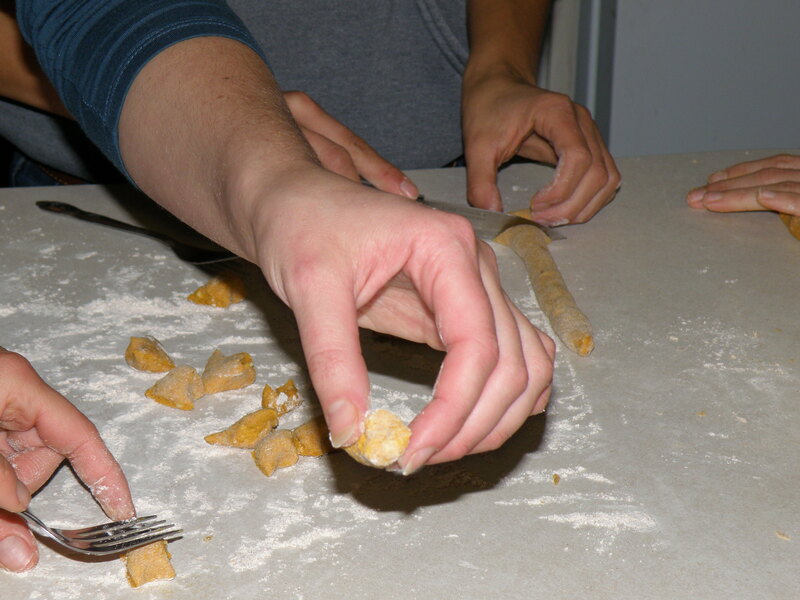 But that’s bad news if you’re making gnocci for the first time on a whim, reading instructions one step at a time, and it’s already midnight because you just spent three hours perfecting your gnocci roll. This is precisely the sort of conundrum that breeds creativity! Turns out you can oven dry your gnocci (or pasta in general) in just minutes. Set your oven to the lowest temperature (mine goes down to 170°F). Bake the gnocci for 15 to 20 minutes until the outsides feel dry and a bit stiff. Now you have gnocci ready to boil! If you used a whole squash you now have a ton of gnocci! 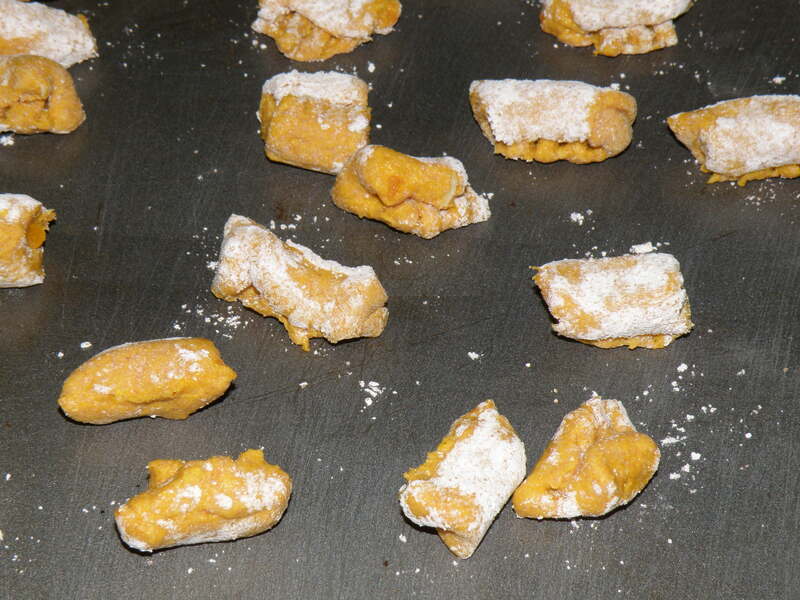 If you are not feeding an army, this is a perfect stage to save some for later – the dried gnocci will freeze beautifully, then you have instant gnocci read for the pot next time. Gnocci, just waiting to go in the pot! Now simple boil the gnocci for about 5 minutes. Use a huge pot, or boil in a few batches – you want them to have space to float around and not clump. 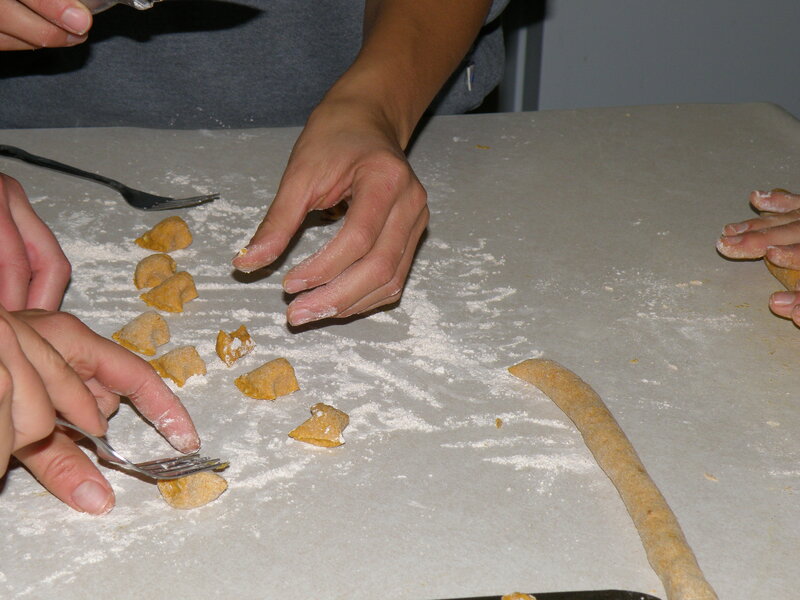 You just spent all that time to make the gnocci squashy. I recommend fairly minimal sauce to let the gnocci shine. Try a pesto or browned butter. 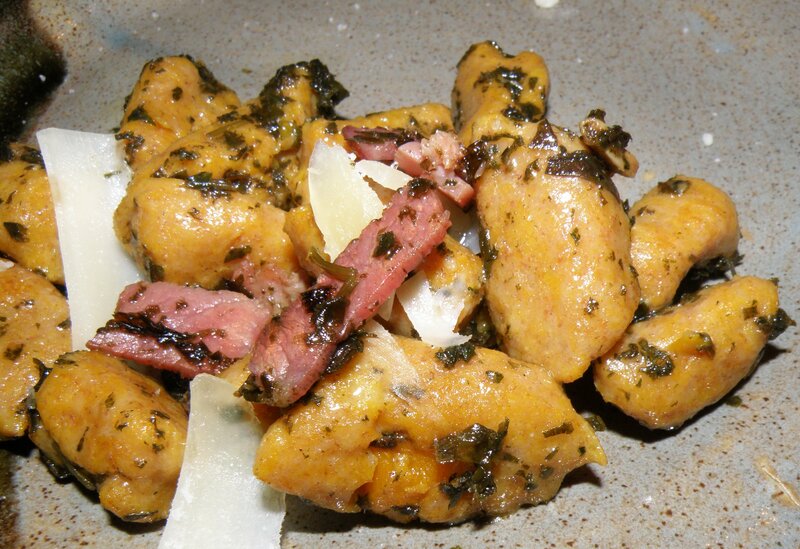 The sweetness of squash gnocci goes great with a savory or spicy kick – sprinkle on some bacon or spicy sausage chuncks. And of course sprinkle with some more parmesan.